Like i said, today i wanted to install some apps from app center and when i click it to install after a couple seconds an error messeage pop up. I think it is for some missing packages or repostorys from an unfinished system update, but when i try to update again i get the same error even the synaptick package manager gives me an error. Are you able to browse any websites? 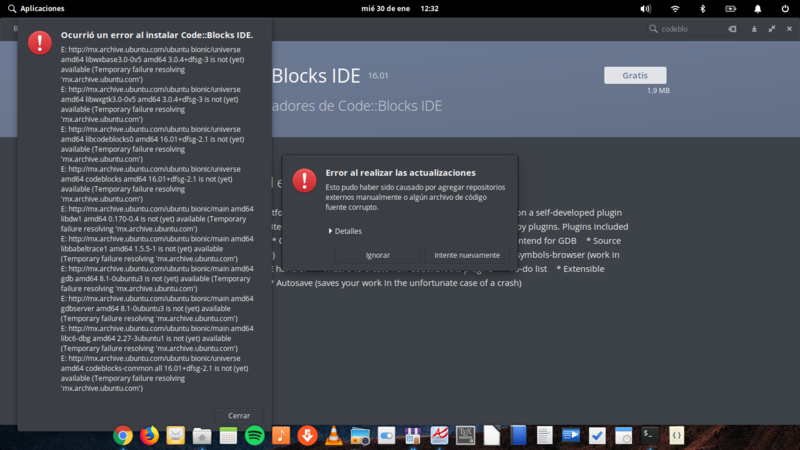 The error message states that there is an error while resolving the address of the update server (mx.archive.ubuntu.com). It also says that this particular server ist not (yet) available, so maybe it is a temporal issue. Have you tried again a few hours or days later? In case you are not able to browse any sites I would suspect some issue with your DNS resolver. Try using a resolver that is not issued by your ISP, like 1.1.1.1, 9.9.9.9, or if your willing to give Google your information use 8.8.8.8 or 8.8.4.4. Not the answer you're looking for? Browse other questions tagged software-installation software-centre or ask your own question.